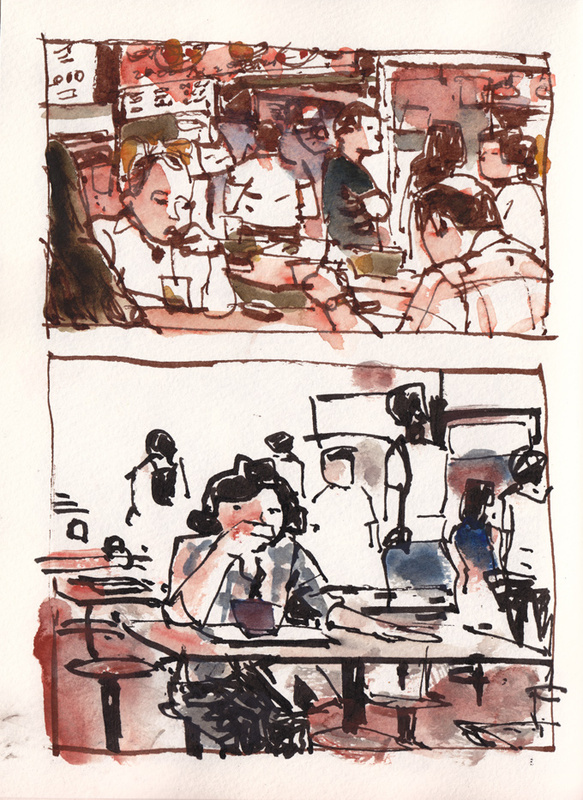 The Hero fountain pen is one I use frequently for my sketches. I've been using it for a long time, to the point the paint is flaking off the surface. 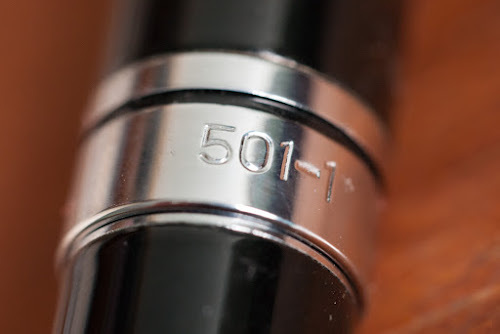 The most important thing about buying a Hero fountain pen is to note the model number. There are many variations of Hero pens and while their tips look the same but performance might differ. Mine's the 501-1 model. I liked it so much I bought an extra for backup. The whole pen is made of metal. It has a good weight in hand, heavier than my Lamy fountain pens. I find that quality control for Hero pens can be questionable. I know of people who bought faulty pens. I myself have bought faulty Hero pens, but not this particular model thankfully. 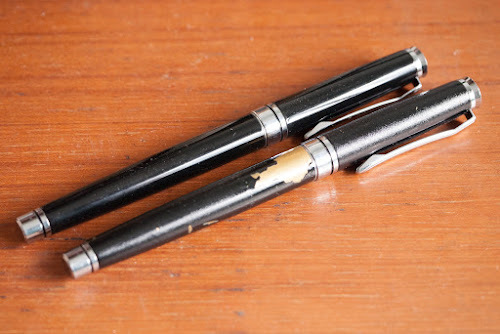 Even the paint job can be different for pens of the same model number, as shown in the picture above. The pen nip is bent at an angle. 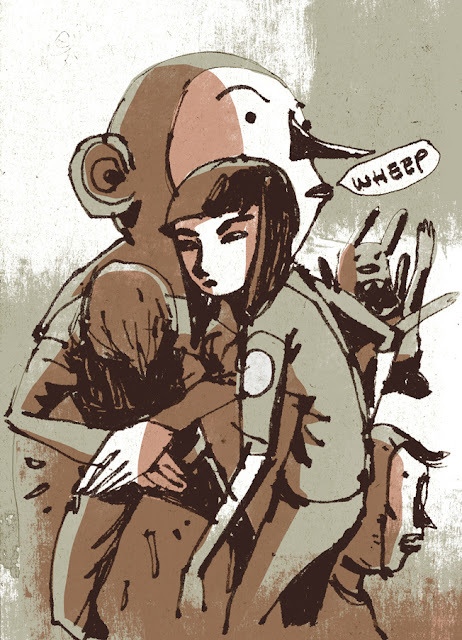 This allows the lines to have variations when the pen's angle changes slightly. 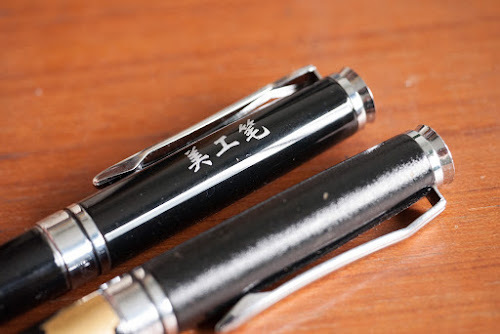 This is different from flex fountain pens where you have to exert pressure to vary the lines. 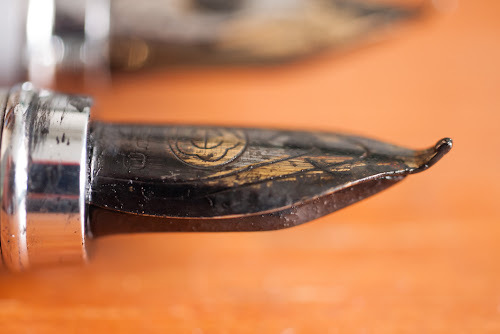 If you want to draw with thick strokes, you can draw with the flat part of the nib on the paper surface. This is something normal fountain pens cannot do. The default convertor that comes with the pen is the push type. You can also purchase your own convertors. I'm not sure the exact model but this isn't the Lamy convertor. Here are some from my friend Don Low. As you can see, the line work from the same pen can look very different depending on how they are used. 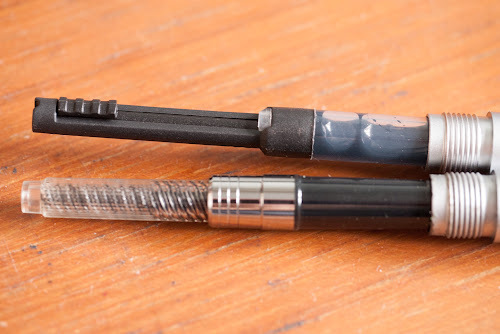 Even though Hero pens can differ by model numbers, their nibs are usually the same. The main difference is in the pen's body design. 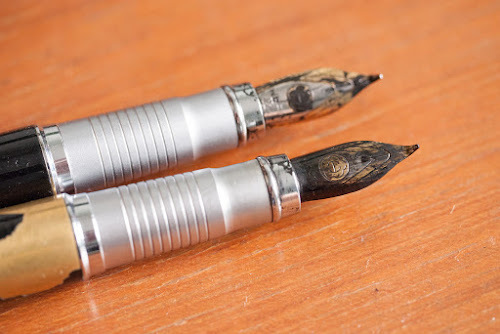 Since this is a fountain pen, it should be used with ink safe for fountain pens. I'm using Daler Rowney Calli ink and it seems ok, the ink flow is smooth and there's no clogging. This is a great pen. Since it's not too expensive, I can recommend it to those who want to experiment as well. Hi parka, where can i buy this model? I bought this locally in Singapore at Straits Commercial years ago. The quality of this pen is a hit and miss. 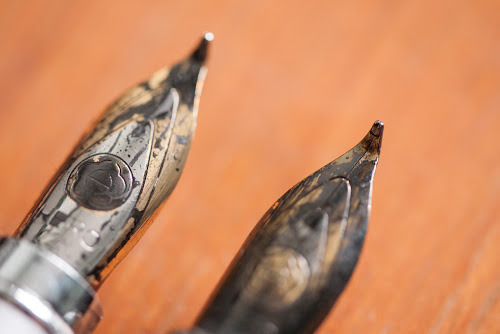 I recommend checking out the Duke 209 fountain pen instead unless you like the design of the 501 more. I will check Straits Commercial out to see if they still have the hero model. Btw do they carry duke as well? I actually prefer to have a feel before deciding which to buy.